Though she is still grieving, Whitney Houston’s only child, Bobbi Kristina Brown, is considerably richer today than she was a month ago. The 19-year-old is listed as the sole benefactor in a will that was filed today in Atlanta. Whitney Houston signed the will back in 1993, just a month before she gave birth to Bobbi Kristina, with ex-husband Bobby Brown. 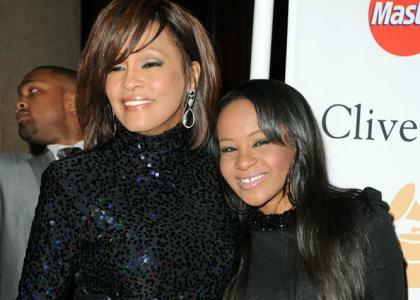 Being Whitney Houston’s only child, Bobbi Kristina inherit her wealth as well as all personal belongins such as furniture, clothing, jewelry, and cars. According to TMZ, Houston’s estate is believed to be valued at approximately 20 million. Despite the large wealth left behind for her, Bobbi Kristina will not have access to it all one time. According to reports, Houston’s money will be put in a trust fund, to which Bobbi will have access to in phases. She will get the first portion when she turns 21, a second sum at 25, and the remainder when she hits 30. Bobbi Kristina’s first interview with media mogul Oprah Winfrey will be broadcast this Sunday on Oprah’s OWN TV network.